Jamie is a PhD student at Heriot-Watt University within the School of Social Sciences. He has completed an undergraduate management degree, which consisted of a dissertation looking at the power and control dynamics of volunteer tourism. Currently his research lies in tourism management, particularly volunteer tourism; looking at its socioeconomic effects, as well as the social interaction and cultural exchanges between host communities and volunteers. Jamie is involved in various projects looking at negotiation and dynamics within international bazaars. 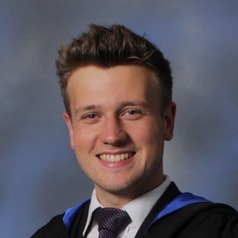 Jamie has experience teaching as per his PhD contract he conducts 100 teaching hours per academic year.